*Are you located in Alaska, Hawaii, or outside of the U.S. entirely and want to place an order? Please contact Caroll Berridge at [email protected] or 1-866-872-4687 (press one). Please note that orders over $1500 qualify for free shipping. Contact Caroll Berridge for details if placing such an order. Relationships: The mutual, long-lasting, back-and-forth bond we have with another person in our lives. Internal Beliefs: The feelings and thoughts we have about ourselves and our lives, and how effective we think we are at taking action in life. Initiative: The ability to make positive choices and decisions and act upon them. Self-Control: The ability to experience a range of feeling, and express them using the words and actions that society considers appropriate. 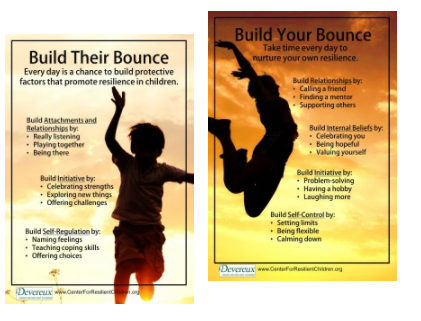 The strategies suggested in Building your Bounce: Simple Strategies for a Resilient You correspond to the reflective statements that comprise the Devereux Adult Resilience Survey (DARS), a 23-item reflective checklist that provides valuable information about a person’s strengths. This resource can be used by educators, teachers, parents and any adult looking to support their own resilience. Download a free copy of the DARS from the bottom of this page. For volume pricing (purchase of over 10 copies), please see this page for coupon codes, or call (866) 872-4687, and press option 1. Job stress among teachers continues to be a concern at the national level. When teachers are not able to cope with constant changes and increased demands, they may not be able to provide the quality teaching and learning experiences expected of them. The same can be said for parents, administrators and other individuals who care for and educate children. One way to help adults overcome stress and burnout may be to provide them with professional development that introduces strategies that support resilience and the building of protective factors. 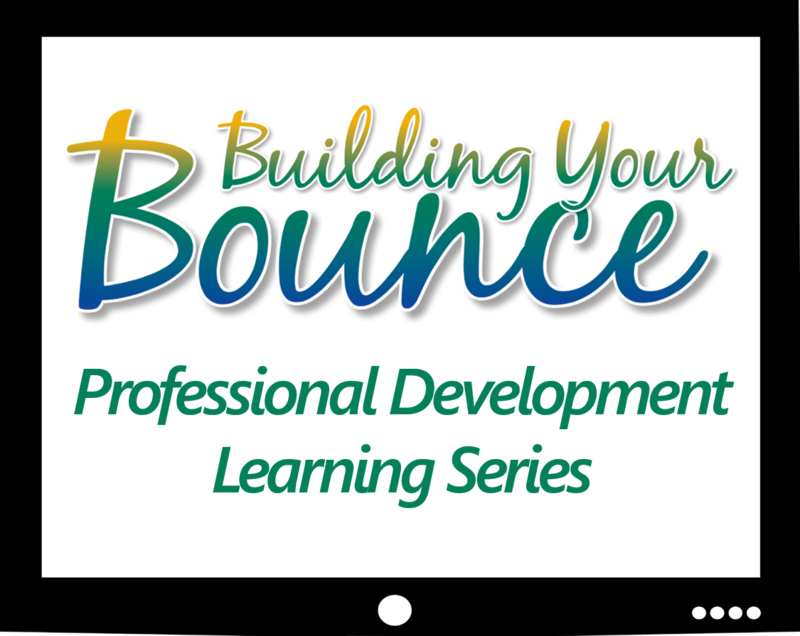 In our brand new Building Your Bounce Professional Development Learning series, the Devereux Center for Resilient Children takes advantage of technology in order to deliver a reflective learning experience designed to promote adult resilience. 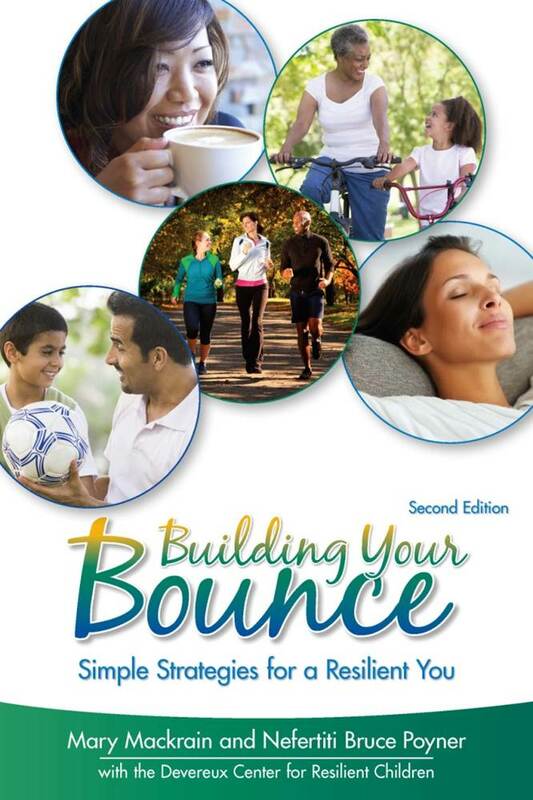 Complete with interactive elements, Nefertiti B. Poyner, Ed.D, co-author of the resource Building Your Bounce: Simple Strategies for a Resilient You, guides participants through reflective activities and life application exercises. Our goal is to provide participants with an opportunity to self-reflect on their own well-being and then take action to better support their resilience. If you work with parents, this series will be great for you as well. The three 30-minute videos, handouts, and facilitator’s guide are available for immediate download. Get started with training the adults in your program today!